Loving wife of the late Walter J. Sister of the late Bud (Shirley) Schmit. Aunt of Christina M. Schuler, Anthony M. Schmit, Erwin F. Schmit, and Christopher C. Schmit. 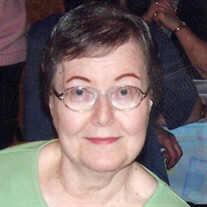 The family of Mrs. Phyllis Marie Jordan created this Life Tributes page to make it easy to share your memories.